I have only one hard drive that is MBR formatted. And I repartitioned it so that I have Windows 7 on one, Windows 10 on one, and Niresh's Mavericks on one. I successfully installed Mavericks on the third partition. But everytime I reboot I have to use the USB Installer to access Mac OS X, or else I get "boot:0 done" error. I wasn't able to access Windows, so I used the Windows Installation Media and fixed MBR, and rebuilt my BCD and got access to Windows 7 and Windows 10. But now too, I need to use the USB Installer to access Mavericks and I tried installing Chameleon with the boot0hfs option, but then I get back to same boot0: done error. So I fixed my BCD again using windows installation media and tried adding MacOSX entry with EasyBCD but when I choose the entry in the Windows boot manager, I simply get a blinking underscore ( _ ). Can you please help me install the Chameleon (or any other alternative bootloader) so that I can easily choose between Windows 7, Windows 10 and MacOSX Mavericks while booting. First, let's check that the problem is that your Mac won't start up, and not that it won't turn on - it might sound confusing, but there's actually a big difference. Press the Power button on your Mac. If you don't hear a start-up chime, and you don't hear any fan or drive noise, or if there is no images, video or visuals of any sort on your display, then your Mac isn't turning on at all. Check the connection to the power. Try a different power cord or adaptor (if you have one). Disconnect all accessories (such as printers and USB hubs). If you recently installed new memory or a new hard drive, make sure they are correctly installed and compatible (if possible re-install the old memory or hard drive). If none of these steps resolve the problem, then you should attempt to reset the SMC (see Step 7). If your Mac does turn on, but doesn't boot up because you can't access the display, then you are most likely having trouble with the display hardware (rather than a broader start-up issue). Check the power supply to the laptop, and power to the display (if using a separate display). Confirm that all cables are connected securely. Check that the monitor is compatible with your Mac. 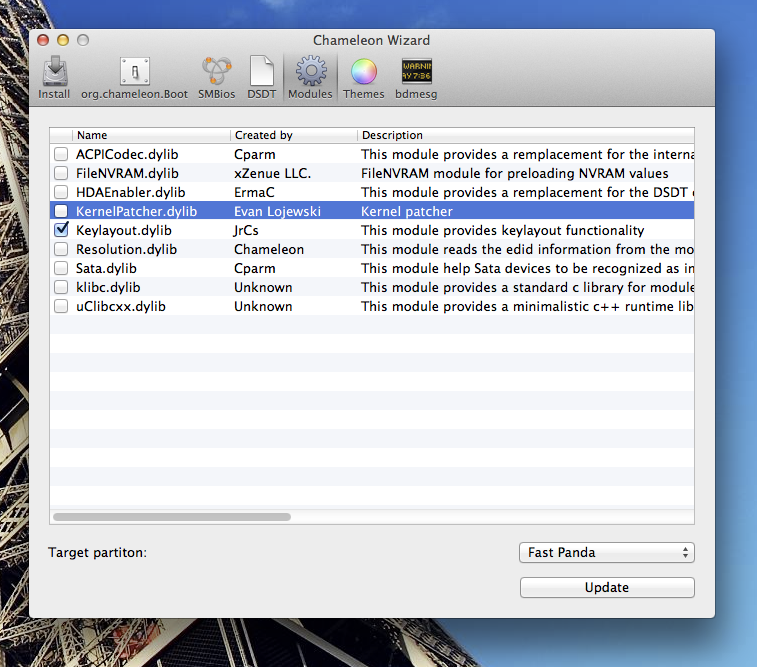 Remove all display extenders, switches and any other devices between the Mac and monitor. Unplug the video cable (if using a separate monitor) and plug it back in. If using more than one monitor in a "daisy chain" unplug all monitors and test using just one. If possible try to use a different display, or a different adaptor (use DVI instead of VGA, for example). Apple then advises users to try resetting the PRAM or starting up in Safe Mode and adjusting the resolution in System Preferences. If your Mac turns on, and the display works, but it won't boot, there could be many issues at play. But the one we like to rule out right away - or repair, if possible - is any problem afflicting the hard drive. The easiest first step on that front is to run Disk Utility. 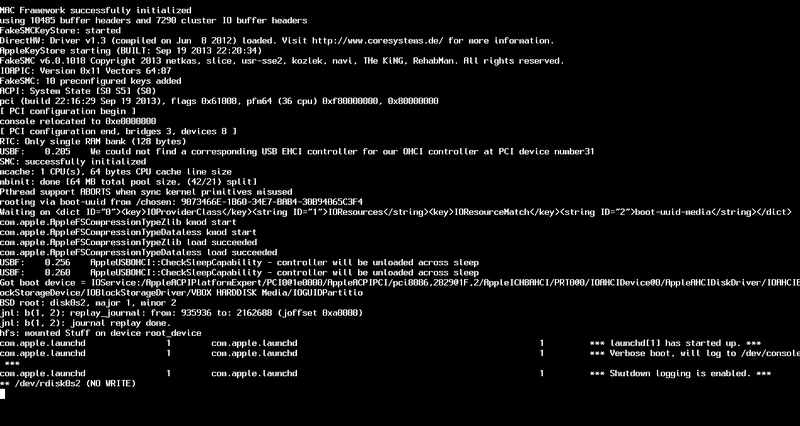 On a Mac running OS X 10.8 Mountain Lion or later, you can run Disk Utility by booting into OS X Recovery Mode. Make sure the Mac is off. (If it's not responsive because it's stuck on a grey, blue or white screen, just hold down the Mac's power button for several seconds until it gives up and shuts off.) Hold down the Command and R keys, and power the Mac back up again. Eventually, you'll end up on a screen headlined OS X Utilities. (Once you see that screen, you can release the keys you were holding down.) Click on Disk Utility. Then click on your Mac's built-in hard drive in the left column of Disk Utility. (Usually, you'll see two listings for your built-in drive: the first includes the drive's size, like 500GB, in its name; and nested underneath it is your drive's friendlier name. You want that second one.) On the lower right of the Disk Utility window, click Verify Disk, and then wait while Disk Utility does its thing. See: How do I restore my Mac with Time Machine? Safe Boot limits what checks and functionality your Mac focuses on during startup, and performs certain diagnostics. It's rare, but sometimes you can get your unhappy Mac to start up successfully with a Safe Boot, and then restart it normally, and everything returns to hunky-doriness. Be patient during your Safe Boot. If the Mac does start up, restart it from the Apple menu once the desktop finishes loading completely. If the Mac starts up normally, go on with your day. Otherwise, keep working through this list. Wait until the command-line prompt appears, when all the text is done scrolling past. Then you'll type fsck -fy and hit Return. And wait. Possibly for several long minutes. Ideally, you’d eventually get to the "…appears to be OK" message, type reboot, and find that your Mac now starts up perfectly. If this doesn't work, and your Mac still doesn't start up, then move on to the next step. Step 6: Reset the NVRAM, because why not? Resetting that data isn't harmful, but quite frankly it's also rarely genuinely useful. But man, at this point, it can't hurt. You might need to grow an extra finger or two for this one, or have a friend help you out. Hold down all of these keys: Command, Option, P and R, and turn on the Mac. Keeping holding the keys down until you hear the Mac restart again. Apple says to let it restart just the one time; I usually listen for a second reboot, and then release the keys. In some cases, after performing this step, your Mac will restart normally. In other cases, you might instead see a progress bar on startup. If the progress bar fills up and then the Mac starts up, you're probably good to go. In some cases we've seen, however, the Mac shuts down at around the halfway point in the progress bar. In some situations, you may need to reset your computer's System Management Controller (SMC). This is largely a last-ditch attempt to fix the current version of Mac OS X before attempting to recover the data and moving on to re-installing OS X. Apple has a detailed article online that guides you through the SMC reset process. This step should be taken prior to Step 9 and it depends on your backup situation. You do make regular backups, right? If you're not sweating at the moment, confident in your Time Machine or other backup solution then go ahead to Step 9. But if you wish you'd backed up your Mac then now is the time to see what you can salvage from the machine. Connect both Macs together using an Apple Thunderbolt cable (it also works with FireWire cables on older Macs). Swift off your Mac (hold down the power button if necessary). Start up your Mac while holding down the T button on the keyboard. Keep holding the T button down as you hear the startup chime and keep it pressed until the Thunderbolt icon appears on your screen. This places your Mac in Target disk mode. In Target Disk mode your Mac acts like an external drive. You should now, hopefully, see the hard drive for your Mac on your second Mac's Finder. You can grab the files you need from your hard drive, or even clone the entire hard drive to another external drive. Remember OS X Recovery from Step 3? You can use it to reinstall Mac OS X too. Boot into Recovery mode, and then click to install Mavericks and follow the on-screen prompts. See Use Recovery mode to restore your Apple Mac computer. If you've made it this far and your Mac doesn't work then you will need to take it in to an Apple Genius Bar to see if they can help you fix it (or arrange for a repair under warranty). Hopefully you have got enough data from your Mac so as to be able to back up, or continue working on a new Mac. Hackintosh won't boot? Here's how you can use verbose mode to fix it. If you're using a discrete (separate) graphics card in your PC, you could also try temporarily removing that graphics card and running Mac OS X with your computer's integrated graphics card instead (though that may cause some new problems in itself). If you're already using an integrated graphics cards, then try adjusting a few boot flags; check out the latter half ofthis very detailed tonymacx86 guide on laptops for more information.